Obituary for Billie Jean (Hamilton) Barton | Crouch Funeral Home, P.A. 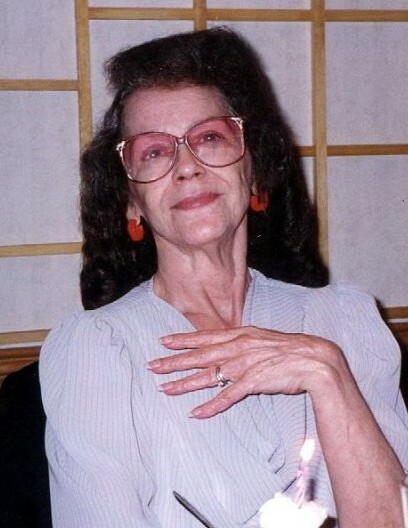 Billie Jean Barton, age 83 years of Elkton MD, passed away Thursday, March 21 after a long struggle with COPD. She was at home, surrounded by her loving family. Billie Jean was born to parents, Winston C. & Gladys M. (Reeves) Hamilton on September 26, 1935 in Harlan KY. It was in elementary school that she met the person that she would celebrate just short of 68 years of marriage with, Larry Barton, Sr. Billie gave life to 3 children, Gary Lee of Harlan KY, who passed at birth, Connie Shotwell (Barry) of Newark DE and Larry Jr. (Becky) of Elkton MD. She spent her entire life making a home and caring for her husband, her children and grandchildren. When younger, she loved to do things with her children. She would dance, play softball, badminton, do cartwheels, hang out in the pool and go on long bike rides. She loved art, music, life and Elvis. Billie had six grandchildren, Michelle Boggs (Mark), Larry Barton III, Kimberley Havunen (Chad), Eric Ramadan (Heather), Tristan Barton (Allura) and Haley Barton. She is preceded in death by a son, Gary Lee Barton, parents, Winston C. and Gladys M. Hamilton, and her only sibling, Ernest W. Hamilton. She is survived by her husband, Larry G. Barton, Sr., daughter Connie, son Larry Jr., her grandchildren, great grandchildren and numerous nieces and nephews. Some of the most important things to say about this precious human being are: She was a person of faith and principles. She was strong willed and had a fighting spirit but was humble. Above all, with all of her heart and soul, she loved her husband, her family, God and her country. There are no words to express the love that we have for her and forever will. Losing her has left the family heartbroken. She will live on in the heart of each of those who knew and loved her. Funeral service will be held Wednesday, March 27, 2019 at 11 am at Crouch Funeral Home, 127 S. Main St., North East, MD, with visitation on Tuesday evening from 6-8 pm. Memorial donations may be made to: St. Jude’s Children’s Research Hospital, in care of the funeral home.